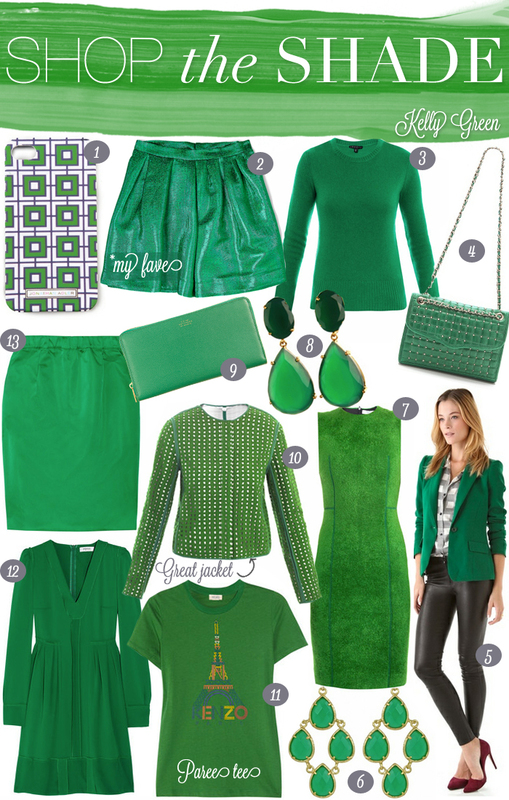 Kelly green is the perfect pop of color against fall’s normally deeper shades. I saw an abundance of this fun hue on the streets at Paris fashion week and have been looking to incorporate more green into my closet (I’m typically a blues girl). I’m particularly fond of this adorable Paris tee by Kenzo! What bright colors are you sporting this season? I love Kelly Green too, just bought a great green sweater. I would love that blazer you chose. Love this color! I bought a kelly green peacoat last year that I’m just dying to wear. Texas Gulf Coast weather says that won’t happen for a long time! So pretty! I love #2, what an amazing skirt! Absolutely love this shade of green! That MSGM skirt and Bounkit earrings are insane!